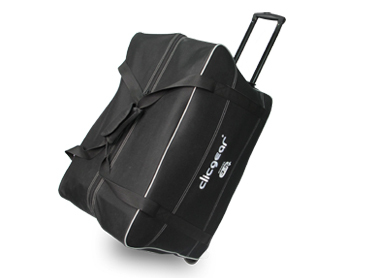 Made from tough and padded splash proof polyester, this travel cover is very useful for keeping your cart safe on a golf holiday. 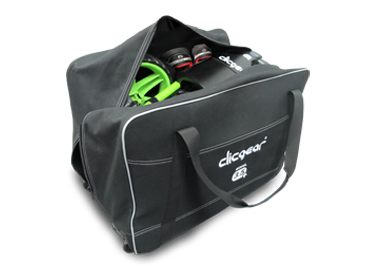 The bag has a rubberized bottom and 2 large internal pockets for shoes and other storage. 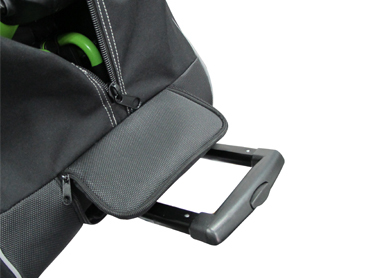 Effortless transportation with the pull handle and smooth wheels. Great for college teams that travel frequently. It is possible to custom embroider.